The Month of April was National Poetry Month. Our President, Terri Leidich, encouraged us all to climb in our pens and let the creative juices flow. Many of us did and the result is a fabulous collection of 15 very different pieces. 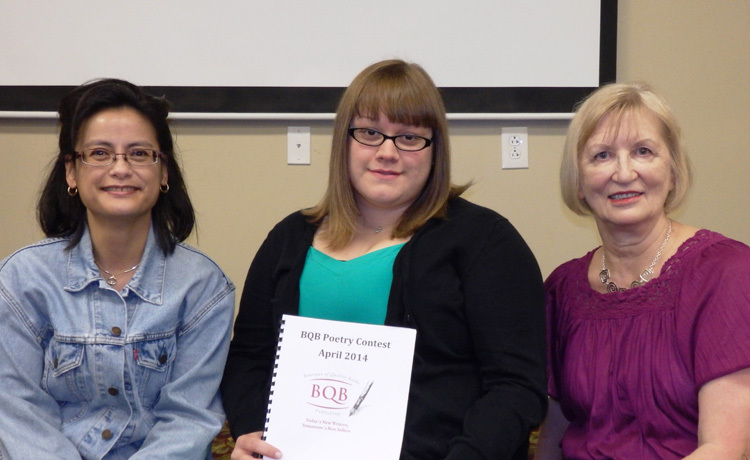 The 2014 BQB Poetry Contest Winner, Leslie Sullivan, wrote a very moving piece. from work, coal, asphalt, hate. stained black too but with ink. Leslie blogs at the Pocket Universe and if you want to stay abreast of the latest, follow her on Twitter. Please take a look at her work and if you like it, share her work. We love it!